Friday, first HealthKit-enabled applications began appearing on the App Store following the iOS 8.0.2 release which, among other improvements, contains a fix for a bug which has prevented HealthKit apps from being approved in the first place. As first spotted by 9to5Mac this morning, fitness and health related applications for the iPhone and iPad are now being approved with HealthKit compatibility following yesterday’s iOS 8.0.2 release. One of the first apps to have received HealthKit support is Flask’s FitPort (pictured below), a $1.99 program that acts as a replacement for Apple’s stock Health app in iOS 8. 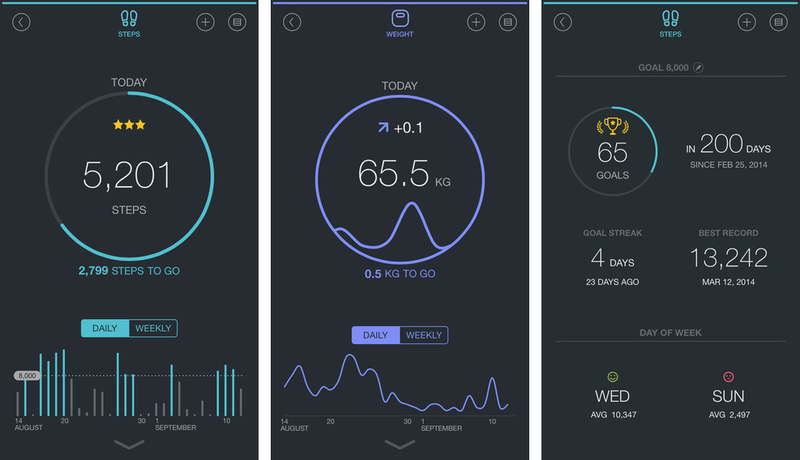 It integrates with the stock Health app and provides a number of interesting dashboards to track your fitness and body stats in a simple and beautiful way. You can easily compare your daily/weekly stats to the previous day/week to see how active you are, set goals and monitor your progress, calculates steps and distance and more. 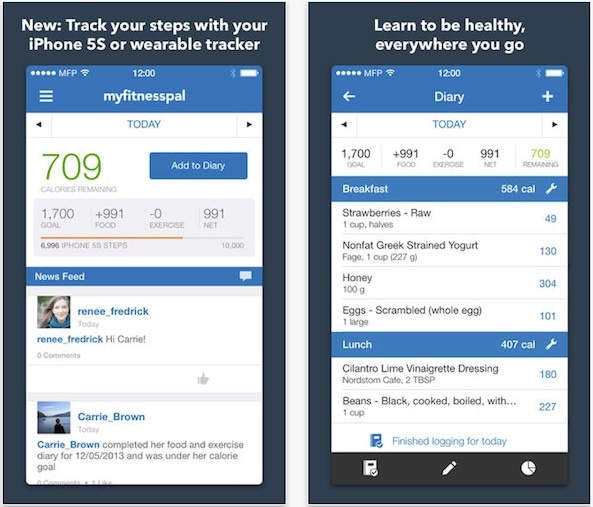 Calorie Counter & Diet Tracker by MyFitnessPal, a free iPhone application and one of the most popular food tracking utilities on the App Store, should be updated for HealthKit later today, bringing its data to iOS 8’s Health app. Once enabled in the Sharing settings, the software will be able to save calcium, carbohydrates, dietary calories, fiber and other data to the Health app, where it could be shared with other HealthKit-compatible apps and visualized using Health’s attractive dashboard. MyFitnessPal will be also permitted to read metrics from the Health app that it otherwise couldn’t track on its own, readings like blood pressure, glucose levels, cycling distance and more. 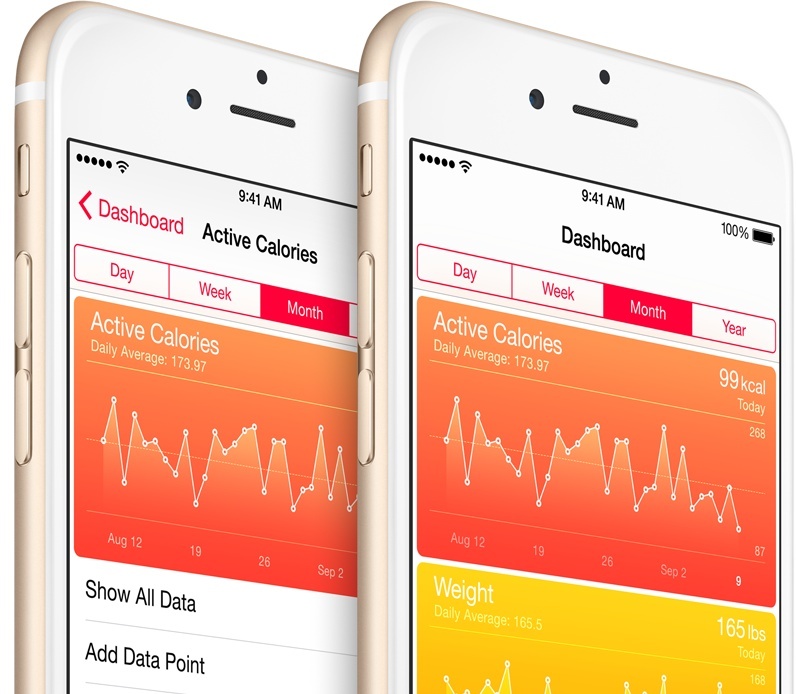 HealthKit, a new framework in iOS 8, allows third-party software to save and read data to and from iOS 8’s built-in Health database, so your data is no longer trapped in silos within apps. To take advantage of HealthKit-powered apps, you will need to update your devices to the latest iOS 8.0.2 firmware. In addition to fixing cellular connection woes and Touch ID issues plaguing the iPhone 6 and iPhone 6 Plus devices after the much-maligned iOS 8.0.1 update, iOS 8.0.2 also contains a bunch of fixes for other teething issues. We will be providing a handy list of the updated HealthKit apps as they appear on the App Store in due time so stay tuned.